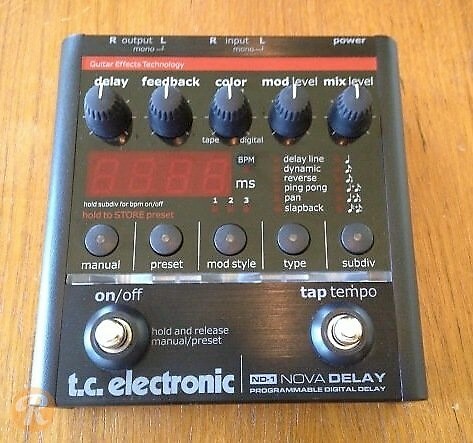 The TC Electronic ND-1 Nova Delay is a stereo delay pedal that emulates the TC's 2290 delay. Six delay modes are available, controllable with knobs for Delay, Feedback, Color, Mod Level, and Mix Level. Up to 2290 ms of delay are available and the ND-1 comes with 9 programmable presets as well.